Years ago, after many, many hours spent on bringing the perfect grow through to harvest all could come apart at the seams because of that one final step- curing and aging. The curing buds could accidentally wind up neglected all because something was overlooked. 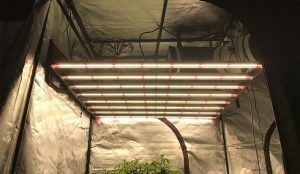 A grower could end up with a drawn-out curing process that created conditions just right for mold spore reproduction from conditions that are too humid. Often, buds ended up over dried because of improper curing practices. The problem in the old days is that curing was not yet an exact science. We didn’t have the equipment to adequately do the job. None of this is a concern today, and there is no reason an entire grow should be ruined because of poor curing. This is not the time to be taking chances. The quality of your flower is the difference between turning a profit or not. It is really all that simple. You need a top-shelf product to demand a premium price that only comes with the highest quality. To guarantee this, you need to invest in the right curing machine. Don’t throw your grow to dumb luck. You gain five important things from using a quality curing machine and any one of them should be reason enough to make the investment. Take another good look at that list and consider which one you are willing to sacrifice. The good news is that you don’t have lose any of them using a modern curing machine. How does a curing machine work and why are they so good? Curing machines automatically circulate air in a uniform and constant way throughout the entire system and the meshed curing racks that bud rests on. These systems continue to perform in the same manner whether you are there or not. You’re not stuck babysitting a stationary fan all day and night rotating it continually. Let’s admit it, no matter how well we may think we’re doing this there is always some loss due to the inaccuracy. This is all eliminated with the use of a curing machine. The automatic systems utilize laminar air dynamics which means full multi-directional flow top to bottom and from side to side. What this means in more understandable terms is that fresh air is evenly distributed. There are no dead spots or weaker locations, as the entire system is completely and uniformly covered equally. An exhaust fan ventilates stale, moist air outside and away from the unit. Higher quality curing machines have dust filters right on the air intake and exhaust manifolds which keep the buds in top condition. Curing machines come in vertical and horizontal units. Vertical units are great for high volume and a speedier cure time, but the size and cost make them more practical for the large-scale commercial grower. Horizontal models are space efficient with multiple drawers which makes access for checking on the contents periodically, but they operate on the same principle and are great units where square-footage may be a problem. A low-cost bud aerator is ideal for the small grower or the hobbyist. A bud aerator is an excellent choice for the grower who doesn’t need a large volume cured. They are simple automated machines that fit right on the top of multiple sized jars or canisters. The bud aerator is completely hands free and work well for anybody from the hobbyist to the smaller commercial grower. They are an appealing choice due to their cost, weight, and efficiency. Those are some attractive features for a low-cost, durable machine. Freeze dryers are a wonderful way to preserve your grow! Freeze drying is what occurs when a material is exposed to near zero humidity. Water is drawn out of the product and absorbed into the CO2, which raises the relative humidity of the CO2 while drawing moisture out of the source material. If the CO2 is steadily replenished, then all the water is removed. All this is happening at below freezing temperatures. The result, is perfectly preserved food completely in it’s natural state and retaining full flavor and vitamins without the moisture. Freeze drying has been around for the commercial food processors for decades. Now, at last there are practical units on the market that are affordable and of a size that is just right for the individual. This is great for any grower serious about food preservation and opportunity for the prepper to save thousands over having to buy pre-preserved food that will last for multiple years. The benefits to freeze drying are many. Decreased dry time and processing from days to hours. Terpenes, maximizing flavor and aroma are all preserved. Food remains in a "fresh" state. Some parting thoughts on curing machines and freeze drying. In conclusion, as we had stated earlier, why risk the quality of your finished product to probability or chance when there are affordable methods that can guarantee perfect success? The answer is that you wouldn’t. When it comes down to increasing profit margin, curing machines make perfect sense every time. That statement sums it all up best. On top of it, today’s freeze dryers provide a whole new opportunity for preserving and marketing your product in ways you never had before. This expands your customer base and utilizes left over crops that were not sold fresh. 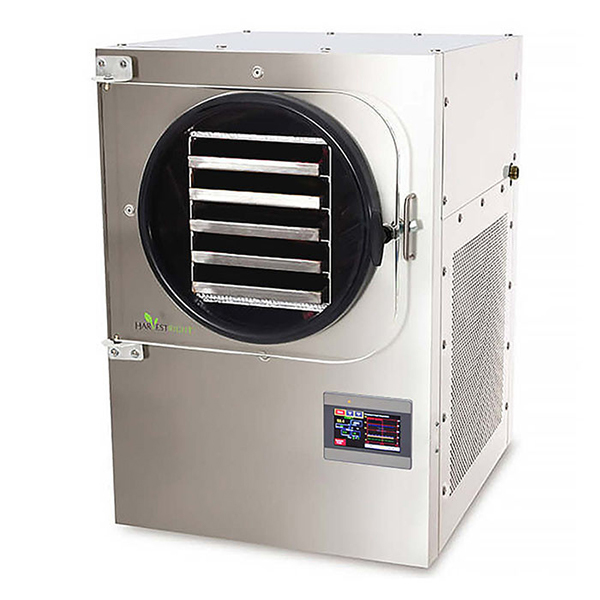 Check out our full curing machine and freeze dryer selection here!